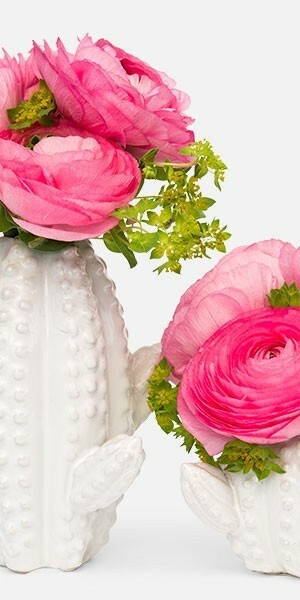 This pair of fun, whimsical cactus vases showcases hot pink ranunculus and green bupleurum. 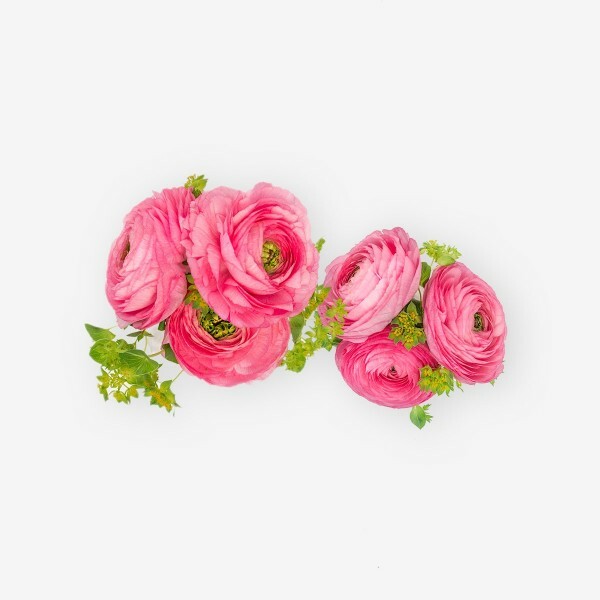 Bursting with color, the Blooming Desert Duo features hot pink ranunculus alongside soft green bupleurum. 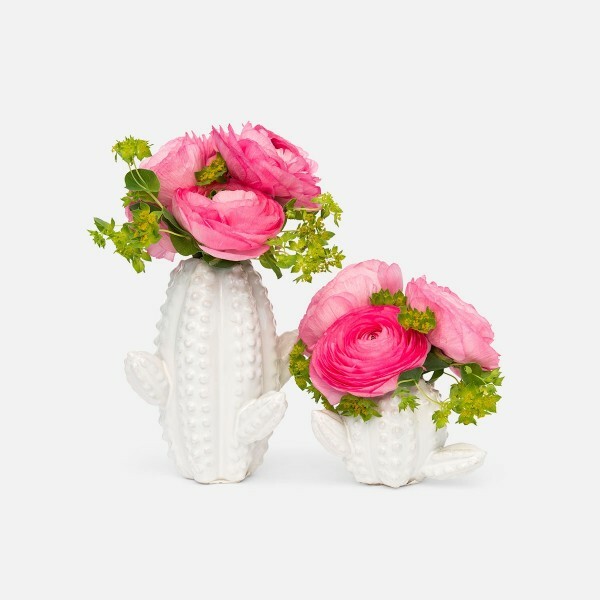 What gives this set a fun, whimsical vibe are the glossy white cactus vases. 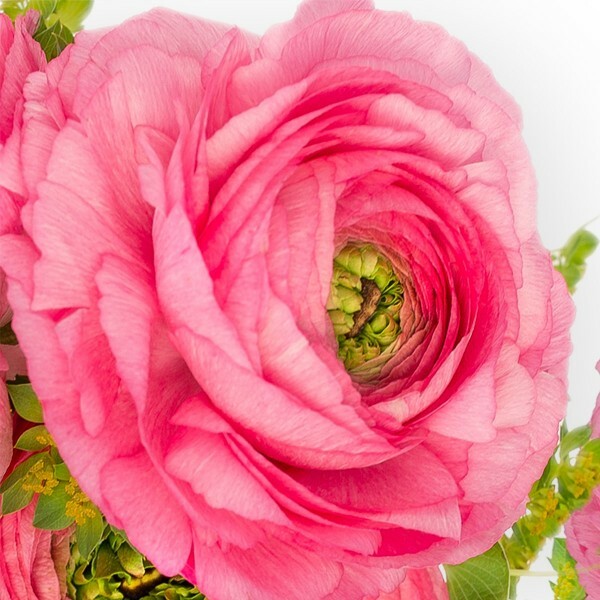 Send the Blooming Desert Duo to someone you appreciate.  They are sure to love them!